My BA flight from New York landed at London Heathrow Terminal 5B so I took the train to gates A where the Galleries First Lounge is located. I first headed to the Elemis Spa/Showers desk and booked a shower suite which was immediately available, as well as a complimentary facial treatment from Elemis Spa 😍 I stayed in the lounge until about 3:50pm and then headed to the departure gate. Around 4:09pm, pre-boarding started beginning with those needing assistance and families and about 25 minutes later, boarding for those flying in business class and those with status followed. 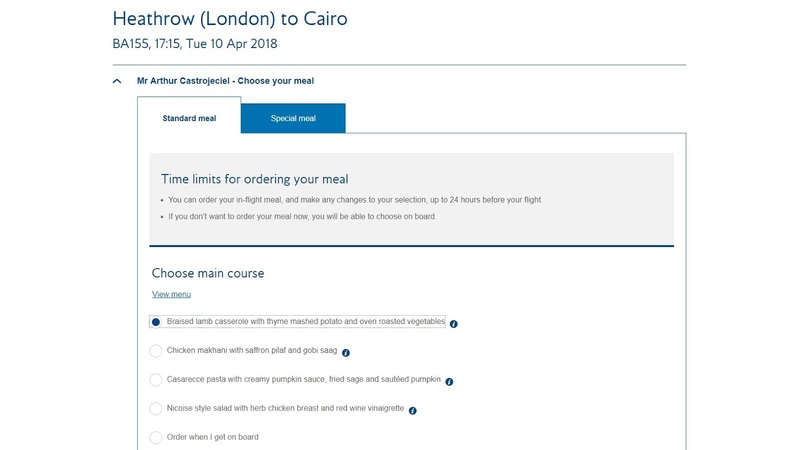 This is the same aircraft I flew with the week before from Cairo to London Heathrow so I was more or less familiar with the business class seats. Since my seat was in the last row of the business class cabin, I had a chance to take a picture of the World Traveller Plus cabin which was directly behind ours. It consists of 39 recliner seats in a 2-3-2 configuration. My seat 13F was an aisle seat. Already waiting at my seat was the blanket, pillow and headphones. From the movie selection, I ended up watching "Ferdinand". Around 4:55pm, amenity kits from The White Company were offered. It was the same one I got between London and New York although it was interesting that they did not offer it on my outbound flight. We were also given a bottle of mineral water. Around 5:13pm, the captain was on the PA and informed us that they were fixing something and that we would be ready soon. Pushback began five minutes later which was followed by the inflight safety video being played on the screen. Take off went smoothly and moments later, we were airborne. Minutes after the seatbelt sign was turned off, hot towels were offered. Egypt immigration forms were also distributed. The flight attendants came to offer packaged dry roasted almonds while taking the drinks order. I had an apple juice to go with it. Main course order was also taken although the flight attendant immediately realized that I had pre-ordered the lamb from their website and confirmed it. Sitting in the larger business class cabin and in the last row, I was among the last ones to receive the meal, aside from the service being a bit slow. Bread and wine were also offered while serving the starter. The meal was really very good especially the lamb 😋 I was also offered some dessert but I declined.